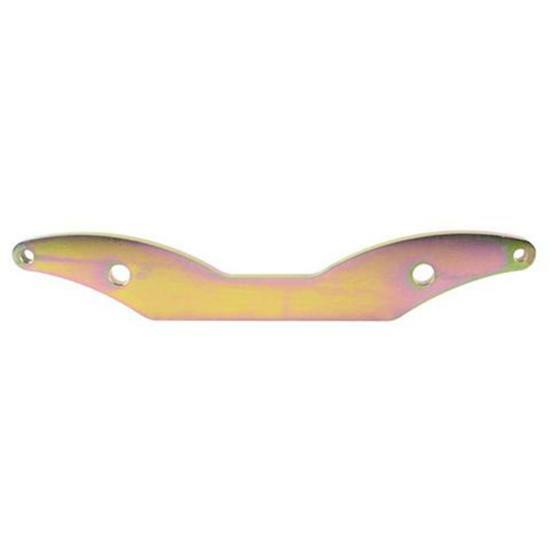 This Jaguar IRS front tie bar is made of 3/8" thick steel that is zinc plated for corrosion protection. The tie bar (also called tie link) connects the lower control arm bolts together on the front side of a Jag IRS rear end. Outer mounting holes are 14-3/4" center to center. Inner mounting holes are 9-1/8" center to center. Incorporating a Model A rear cross member and a high arc stock spring into a roadster build. In this Tech Tip, John answers a customer question about what would be needed to swap some additional power in place of his anemic 233c.i. Ford.